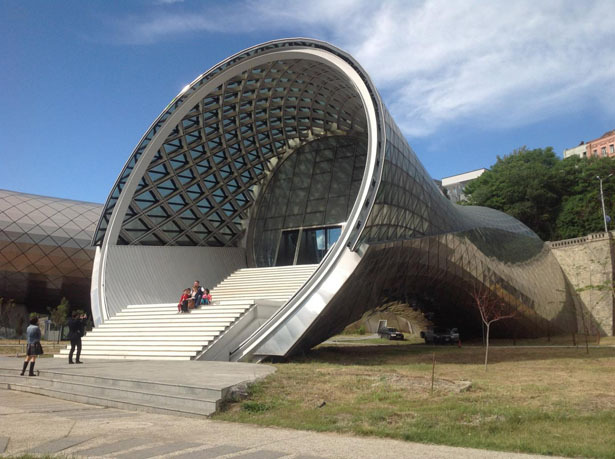 This amazing building is located inside Rhike Park in Tbilisi, Georgia. 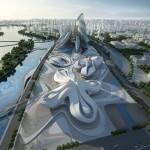 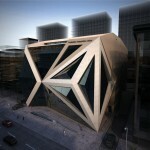 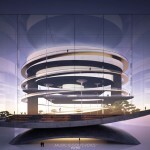 Designed by Fuksas, Italian architecture studio, this building would be the new cultural complex that consist of two different soft shaped elements but connected as a unique body to a shared retaining wall. 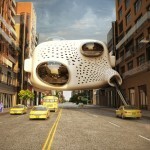 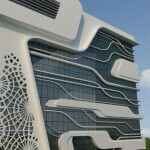 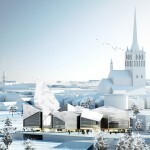 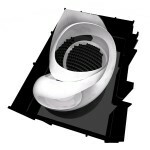 Each shape has its own function: one for musical theater and the other for exhibition hall. 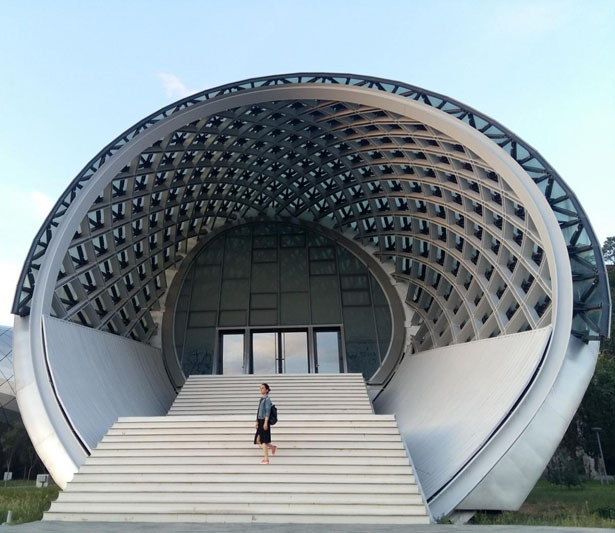 The North area of the building is functioned as the Musical Theater Hall that has 566 seats along with foyer and several facilities, theater machinery, and other useful storages. 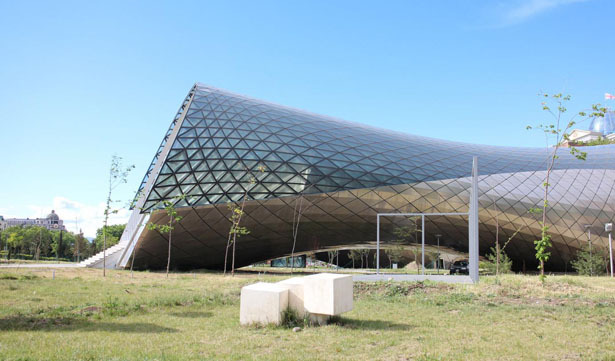 The Exhibition Hall is located at the South area, it offers a great entrance with a ramp to invite visitors from the street level, unlike the Music Theater Hall that soars from the ground to allow users staying in the foyer and cafeteria to enjoy beautiful view of the river and skyline of the city. 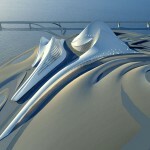 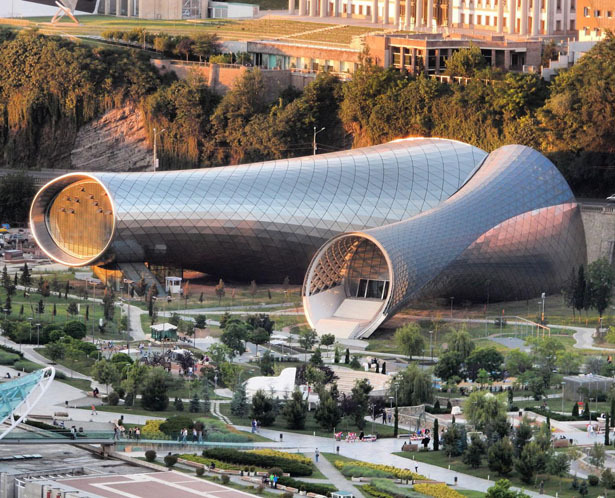 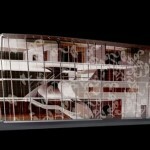 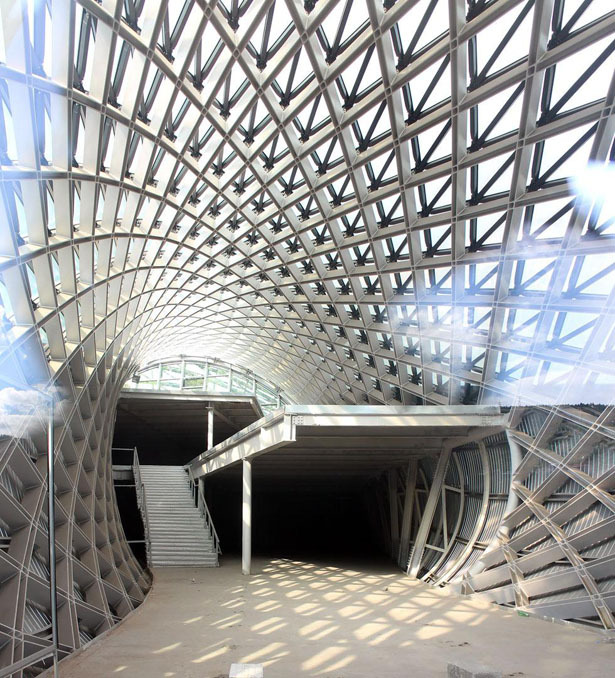 Tagged as exhibition hall building, fuksas architecture design studio, music theater building, tubular shaped building.